Empathy has long been touted as one of the most critical skills for children to have. 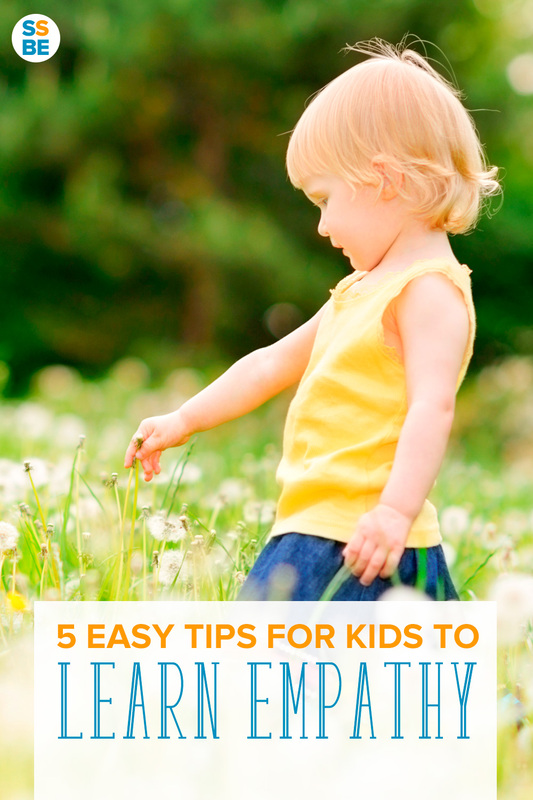 Teach this crucial skill with these 5 tips for kids to learn empathy. I don’t have a blog post about empathy? I wondered. But I discuss it all the time. Children get along better with other kids because they can put themselves in their shoes. Children can regulate their anger, such as during meltdowns and when they’re over excited. Children can separate other people’s emotions from theirs. A child may get upset when he sees another child cry. But with empathy, he learns that the other child is the one who really needs help. Empathy is the ability to understand and share someone else’s feelings. But if you’re a child whose needs aren’t met, then other people’s feelings won’t even cross your mind. When you meet your children’s needs, only then can they think of others. Take, for instance, your hungry child. He’s probably crabby, right? And the last thing he wants to think about is how hurt his sister must have felt when he grabbed a toy from her hand. But with his needs met, he has more room to put himself in other people’s shoes. Why? He doesn’t have to worry about his own needs. Creating a happy home extends to your child’s emotions, as well. Carve enough time for cuddles and affection. 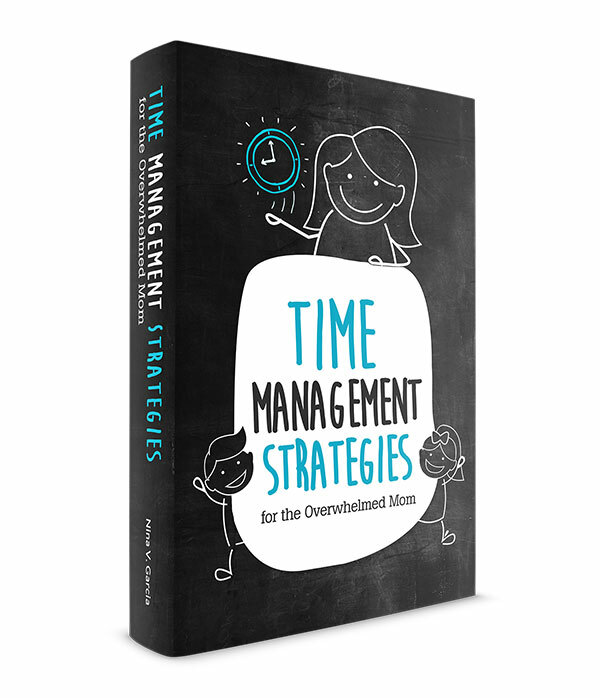 Give him uninterrupted attention, even for as little as 10 minutes a day. When he feels he’s listened to and connected with you, he won’t lack for attention. He’s likelier to think of others and not just himself. Read more about balancing all your children’s needs. Your child will be better able to show empathy when all her needs are met. Describe what other people are feeling. Sympathy is feeling bad for someone else. Empathy is imagining what it must feel like for someone else. Your child shouldn’t be so consumed with others’ feelings, she can’t separate her emotions. But you do want her to put herself in other people’s shoes enough to understand what that person is feeling. Empathy is difficult to show when you assume others are different from you. How can we imagine what the person at the opposite of where you stand is going through when we have nothing in common? But teach your child to peel back those assumptions and find common ground. Highlight similarities and interests between your child and others. They might both be big brothers, or have the same toy, or attend a new school. When we mention similarities, our kids realize we all have common interests. It’ll be easier for them to show empathy when they can imagine others having the same feelings. “Look… you helped your brother feel better,” I told my son. Many times, when one of the kids cry, another will grab a stuffed animal or coveted toy and hand it to the tearful one. I want my kids to know how their kindness affects others. Sometimes the actions aren’t so positive. I’ve had to remind my son not to yell into his brothers’ faces—no matter how excited he may be. Doing so makes them feel scared or overwhelmed. 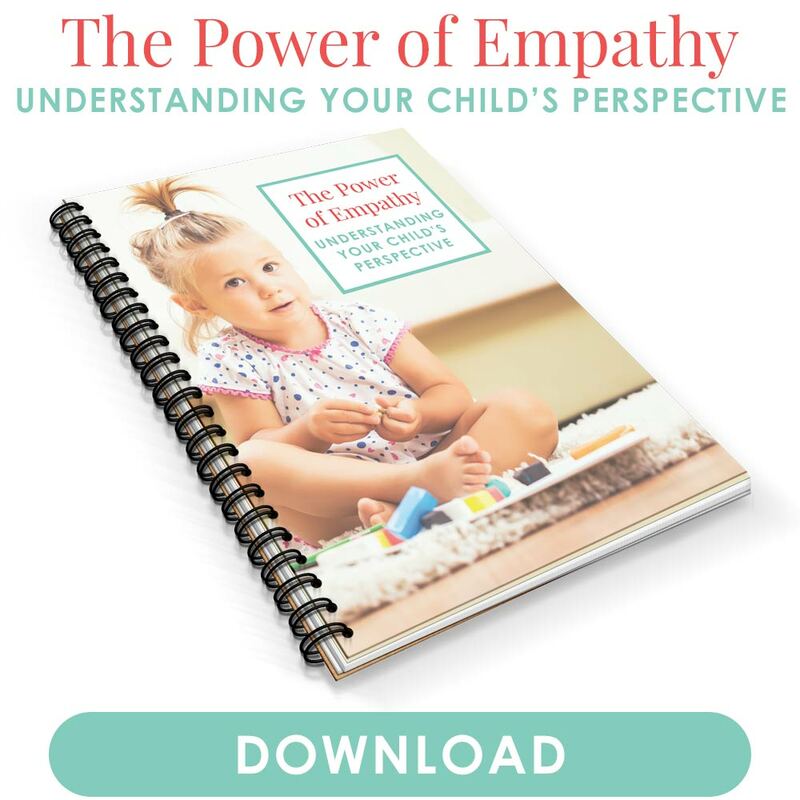 Here’s a great way to model empathy: The next time your child acts up, see the situation from his point of view. Before you discipline, acknowledge what it must feel like from his perspective. Take this scenario I recently had with my child. You and your son are walking to the car when he realizes he lost the happy face sticker his teacher placed on his hand. Trust me, that situation smoothed over much quicker than if I had told him to get over it. Or that the sticker wasn’t important (even if to me, it’s just a darn sticker). Model empathy and feel what it must be like in your child’s shoes. She’ll learn best by how she sees you in action. This is an excellent post – one of my favorites from your blog! I love that you picked “create a happy home” for #1. So important! Wow thanks MaryAnne, that means a lot. And yes, sometimes a ton of these parenting problems stems from way deeper than the actual scenario—stuff like how stressed the household is in general. Great post Nina! Believe it or not, part of the curriculum I’m handling at work is EMPATHY. And I handle adult learners. True enough that it’s not just for kids, adults also need to learn it to be able to model it and walk the talk. I often say Filipinos have a different way of empathizing and it can sound rude to some who are not used to it. I always think that that’s something we need to change in our culture. Thanks for this post! It’s important to nurture a culture of empathizing in our home. How interesting Rea! I haven’t noticed how Filipinos empathize or it sounding rude. Empathy definitely works for adults; in fact it’s important to teach it to kids so that they develop the skill well into adulthood. That’s great you’re teaching your staff that! I love this so much. I want all kids to experience more empathy (and all adults too because well, I want the world to be a better more accepting place for my son and for every single one of us). I completely agree that putting ourselves in other people’s shoes and also realizing that we’re all so much more alike than we are different are HUGE points to getting there. I’m so glad I read this tonight – you’re doing good good things. Thanks, Kristi—that means a lot. I want my kids to look at differences not so much as a terrible thing but something that simply is. I don’t want them to be the kid that will just stand by and not do anything if they see another kid hurt, for instance. i love this post and staring with a loving home is such an important first step! I also really like pointing out the simalarities between us and others. As humans, we always have more in common than is different. Absolutely, Steph. Beneath a lot of differences are the same emotions, fears, joys and concerns, not to mention interests and hobbies. So nice to think first what we may have in common with others before immediately writing others off because of differences. Hmm… I feel like I’m doing most of these things pretty well, but I have a very sensitive little boy who is VERY prone to tantrums and meltdowns at the slightest provocation. I thought it would get better after he turned 4, but they’re still pretty common. I guess we’re all a work in progress. Sarah I do agree it’s all a progress. And that some kids are for sure more prone to tantrums than others. Lots of patience in the end is all we can offer after a while! e.g. not losing our cool. So hard sometimes! I do think though that as kids age, the tantrums subside, at least relative to the kid. My kid now at 5 for sure doesn’t tantrum the way he did at 18-months-old or 2yo. The story about the lost sticker – I might have reacted the wrong way on a bad day. You’re right, when we acknowledge their feelings and redirect, it goes over much more smoothly. It’s really hard to get children to feel other people’s feelings and a constant struggle with our 4 yr old. Sometimes we say, “How would you feel if I did THIS to you since you did THIS to your sister” but then it feels like we’re teaching an eye for an eye, know what I mean? Thoughts? That way he knows exactly how his actions affected her, and encourages him to think of ways to make it better. Sometimes if he doesn’t think of a solution, I suggest some, but even then that’s not guaranteed that he’ll actually do it. Still, I think it helps to show what this person might be feeling.